Morphing Wavetable VCO from Russia – featuring 80 selectable waveforms! 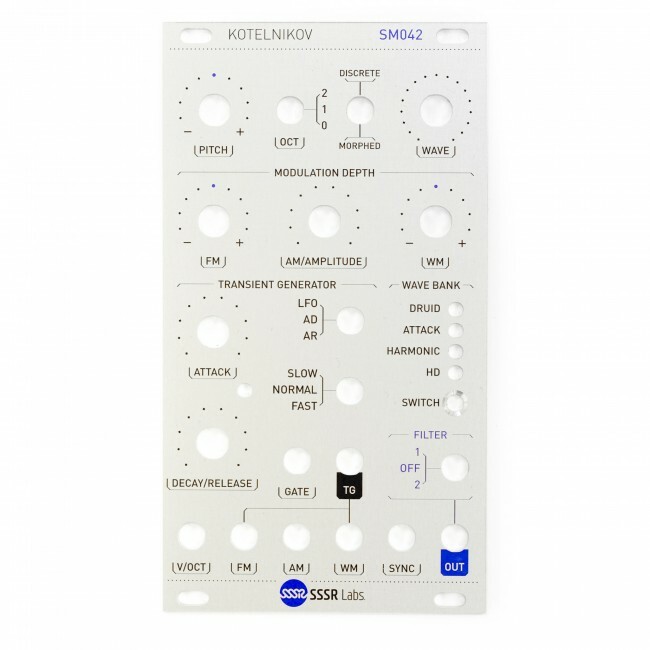 The Kotelnikov is a Eurorack voltage controlled digital wavetable oscillator module with morphing features and built-in transient generator. 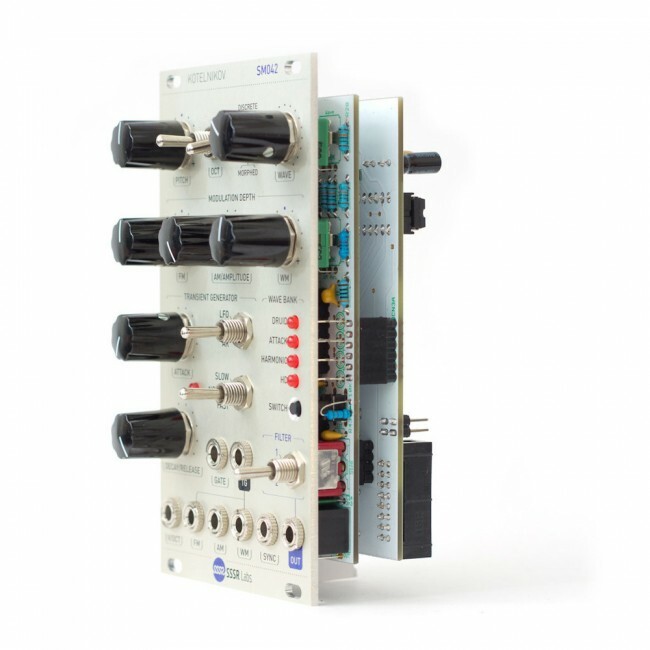 This oscillator can generate a wide range of sounds with diverse spectral content and combine them in various proportions. 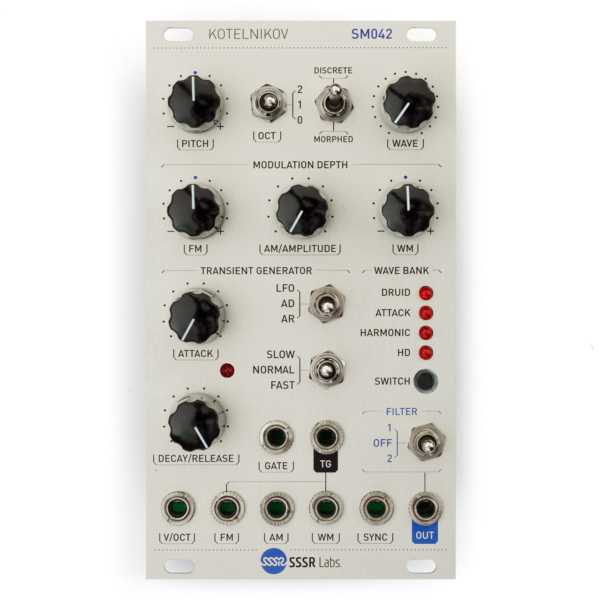 Kotelnikov can also be used as a complete voice module as it features shaped timbres, an envelope generator and amplitude modulation. New to Firmware V1.1 is an Audio Bootloader utility – update the module’s waveforms using a simple utility application for Mac OS X and Windows. 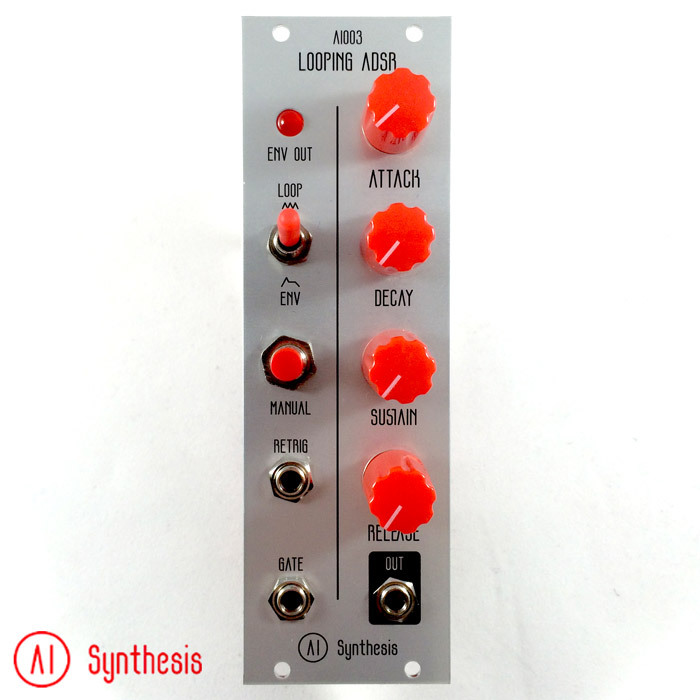 The Transient Generator has 3 modes: AD/AR envelope generator or resettable LFO. Total time range of 0.4µs–10s is divided into 3 subranges. 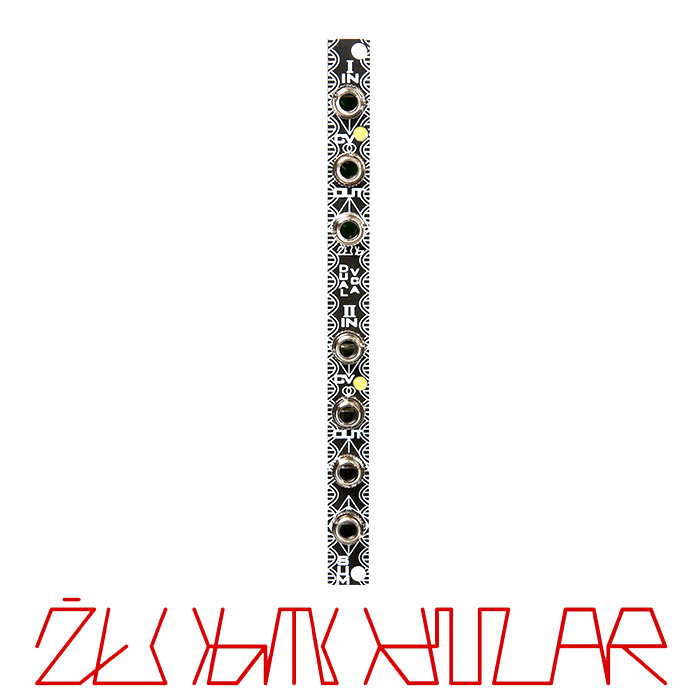 This generator is internally connected with FM and WM inputs, which helps you to easily achieve fluent sounds with no wires at all. • The sound engine sampling rate is locked to pitch and varies from 4.2 to 133 kHz, which gives very clear highs and uniform spectral content over the full range. 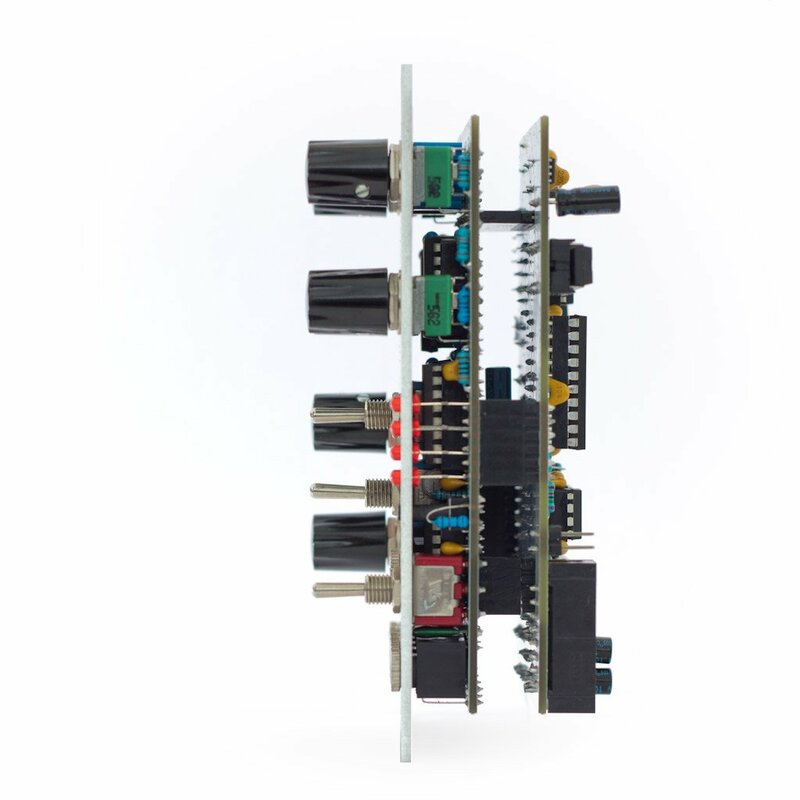 • The Pitch resolution is 6 cents and CV input sampling rate is 6 kHz, which gives a smooth FM-ready CV response. 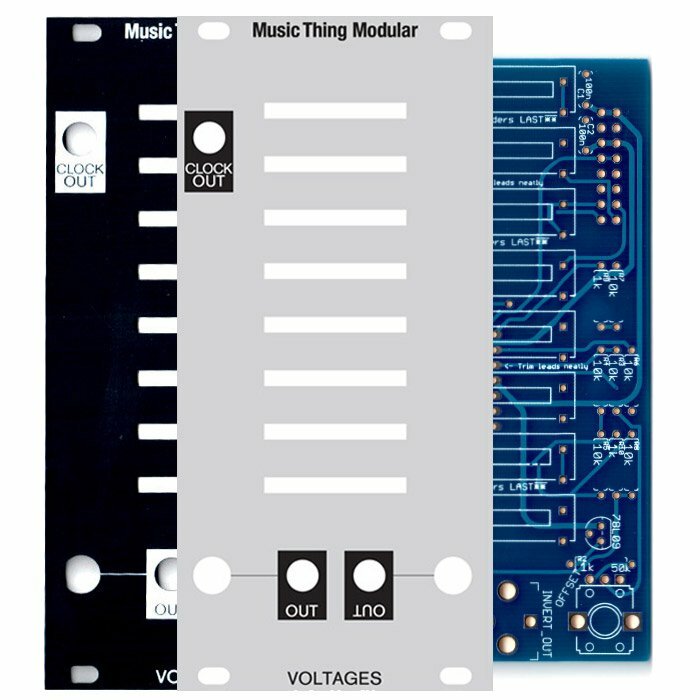 • Analogue Amplitude Modulation input is bipolar, linear, rail-to-rail. Wavetables: 3×16 8-bit tables, 32 12-bit tables. 256 samples each.